The sudden and unexpected death of a baby is usually referred to by professionals as ‘sudden unexpected death in infancy’ (SUDI) or ‘sudden unexpected death in childhood’ (SUDC), if the baby was over 12 months old. The death of a baby which is unexpected is also sometimes referred to as ‘sudden infant death’. Some sudden and unexpected deaths can be explained by the post-mortem examination, revealing, for example, an unforeseen infection or metabolic disorder. Deaths that remain unexplained after the post-mortem are usually registered as ‘sudden infant death syndrome’ (SIDS) or SUDC in a child over 12 months. Sometimes other terms such as SUDI or ‘unascertained’ may be used. While SIDS is rare, it can still happen and there are steps you can take to help reduce the risk for your baby. We do not know what causes SIDS. For many babies it is likely that a combination of factors affect them at a vulnerable stage of their development, which leads them to die suddenly and unexpectedly. However, we do know you can significantly reduce the chance of SIDS occurring by following safer sleep advice. What age babies are most at risk of SIDS? When does the risk decrease? Around 89% of SIDS deaths happen when a baby is six months old or less. To reduce the risk of SIDS for your baby, follow our evidence-based safer sleep advice –such as sleeping your baby on their back in a clear cot or Moses basket – for the first six months. After this time, the risk is reduced, however SIDS can still happen so it is best to continue the safer sleep routines you have built up over time. Does SIDS have any symptoms? There is currently no evidence to suggest that any babies who have died from SIDS had any previous symptoms. However, researchers around the world are currently engaged in a number of research projects that aim to find the underlying cause of SIDS and any factors that might suggest that a baby is at a higher risk. The conclusions of this research may lead to doctors being able to identify whether a baby is at a higher risk, and they could then work with the parents to decrease the risk for that baby. Why don’t we use the term ‘cot death’? ‘Cot death’ was a term commonly used in the past to describe the sudden and unexpected death of an infant. It has largely been abandoned, due to its misleading suggestions that sudden infant death can only occur when a baby is asleep in their own cot, which we know to be untrue. While SIDS is comparatively rare – 216 babies died of SIDS in the UK in 2015 – it can still happen and there are steps you can take to help reduce the chance of it occurring. Can SIDS be prevented? What are the biggest risk factors? Sleep your baby on their back for all sleeps – day and night – as this can reduce the risk of SIDS by six times compared to sleeping them on their front. Share a room with your baby for the first six months – this can halve the risk of SIDS. Keep your baby smoke-free during pregnancy and after birth – this is one of the most protective things you can do for your baby. Around 60% of sudden infant deaths could be avoided if no baby was exposed to smoke during pregnancy or around the home. Never sleep on a sofa or armchair with your baby as this can increase the risk of SIDS by 50 times. Do not co-sleep with your baby if you or your partner has been drinking, is a smoker, has been taking drugs or is extremely tired; these factors can put babies at an extremely high risk of SIDS when co-sleeping. One study found that the risk of SIDS when co-sleeping is six times higher in smokers than in non-smokers. The above is especially important for babies who were born premature or of low birth weight, as these babies are at a higher risk of SIDS. I’m worried about the risk of SIDS for my baby. Who can I speak to? Our support team are here to answer your questions about SIDS or safer sleep for babies. You can ring our information line on 0808 802 6869 or email info@lullabytrust.org.uk. You can also talk to your midwife or health visitor if you have any questions or concerns. What research is being done to find out the cause of SIDS? This is why research into the risk factors and causes of SIDS is needed and why we have been funding cutting-edge research into the causes and risk factors of SIDS since 1971. 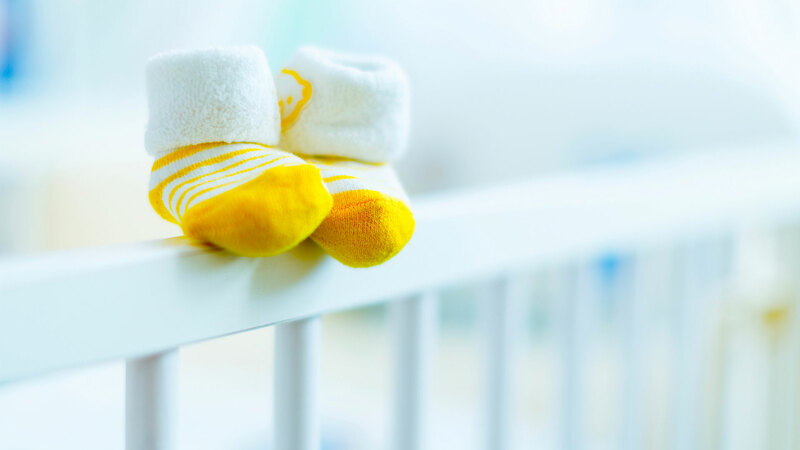 If the cause of SIDS was found, health professionals might be able to identify which babies are most at risk and work with their parents and families to ensure they can reduce the risk factors as much as possible. What can I do if I or someone I love has lost a baby to SIDS? If your child has died, or someone close to you is bereaved, we are so sorry and we are here to offer our support. Our confidential support services are here for anyone affected by the sudden and unexpected death of a baby or young child, whether the death was recent or many years ago. You can call our bereavement support helpline on 0808 802 6868 or email support@lullabytrust.org.uk. Find out more about how we can support you here.